Greenpeace has released a new report outlining the environmental and health impacts of the Fukushima nuclear disaster, and warning of long-term consequences lasting decades to even centuries. Stressing there is “no end in sight” to the ecological fallout, the NGO says the impact in a number of areas will continue, which will include but not be limited to mutations in trees, DNA-damaged worms and butterflies, as well as radiation-contaminated mountain water tables. 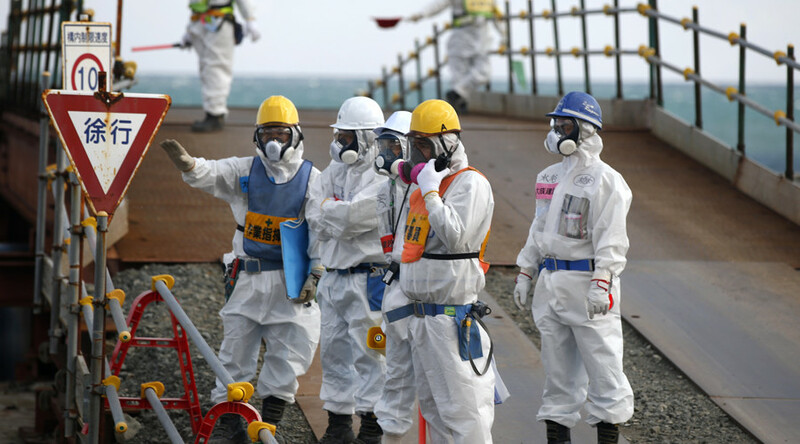 “The government’s massive decontamination program will have almost no impact on reducing the ecological threat from the enormous amount of radiation from the Fukushima nuclear disaster. Already, over 9 million cubic meters of nuclear waste are scattered over at least 113,000 locations across Fukushima prefecture,” said Kendra Ulrich, Senior nuclear campaigner at Greenpeace Japan. The study based on five years of independent scientific research in addition to 25 radiological investigations by Greenpeace radiation specialists paint a dire picture. The impact from the 2011 disaster are already becoming apparent, the environmental group says. These are seen in the high radiation concentrations in new leaves, and growth mutations of fir trees and pale blue grass butterfly mutations. Based on scientific studies, Greenpeace also notes decreases in 57 bird species and high levels of cesium contamination in freshwater fish. The NGO is raising the alarm regarding the contamination of coastal estuaries as well. Greenpeace warns against the government’s decision to lift a number of evacuation orders around the Fukushima plant by March 2017. The NGO says the International Atomic Energy Agency and the government are operating under “deeply flawed assumptions” when it comes to decontamination and ecosystem risks. “The Abe government is perpetuating a myth that five years after the start of the nuclear accident the situation is returning to normal. The evidence exposes this as political rhetoric, not scientific fact. And unfortunately for the victims, this means they are being told it is safe to return to environments where radiation levels are often still too high and are surrounded by heavy contamination,” Ulrich said. Based on the 56-page report the environmental advocacy group believes that around 100,000 people won’t be able to return home in the immediate future. “The Japanese government should put its citizens first, the majority of who reject the restart of nuclear reactors. Many are demanding the only safe and clean options that can meet Japan’s needs - renewable energy,” said Ulrich.